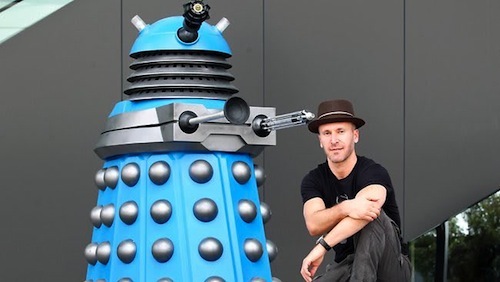 During Gallifrey One, the world's largest and longest-running Doctor Who fan convention, composer Murray Gold confirmed he's no longer working on the series. There has been speculation surrounding Gold's departure since Chris Chibnall was announced as the new series showrunner. Gold has worked on Doctor Who since the series returned to television screens in 2005 with then showrunner Russel T Davies. He went on to compose music for 10 series with actors Christopher Eccleston, David Tennant, Matt Smith and Peter Capaldi in the titular role. From Rose to Clara's theme, he's produced an impressive body of work. There is no news regarding his replacement. Doctor Who returns to television screens this autumn with Jodie Whittaker as the first female Doctor Who. The actress and co-stars, Mandip Gill (Yasmin), Tosin Cole (Ryan) and Bradley Walsh (Graham), were recently seen filming in Sheffield.